It's 07:59 in Escondido, USA right now. 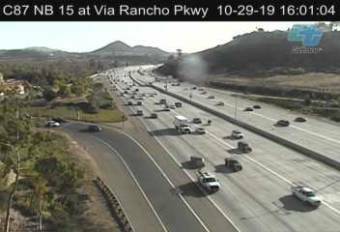 NB 15 & Via Rancho Pkwy A view of the current traffic situation. Escondido, California: San Diego Wild Animal Park: Elephants, 0 miles away.